​We care for your auto as if we are transporting our own. We are professionals who quickly recognized an opportunity to improve the customer experience after personally experiencing the challenges of transporting our own autos. When we looked under the hood, we found a highly fragmented industry with thousands of transporters and brokers who were treating autos as commodities, simply trying to move them from point A to point B at the cheapest possible price. Putting a human touch to your auto transport. 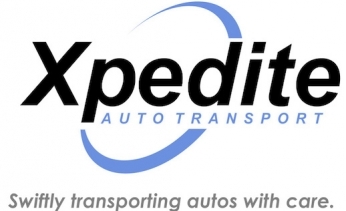 Transparent, friendly, helpful and reliable are just a few of the words that have been used by our customers to describe us.The Xpedite Auto Transport team is committed to providing a swift and helpful experience for our customers. Our team has more than 50 years of customer service, sales and management experience that we leverage to provide our customers the best quality for the best price in an efficient and timely manner. ​We work directly with consumers as well as businesses that have auto transport needs including auto dealerships, online dealers, moving companies and relocation specialists. ​We have access to hundreds of licensed, insured and bonded trucking companies for open and enclosed transports as well as feedback ratings from their past clients. Empowered with this information and our expertise, we can provide you the best quote and transport situation to meet your specific needs and budget. Specializing in cars, SUVs and trucks, we deliver anywhere in the U.S. We look forward to helping you with your auto transport needs.